When it comes to cordless technology, there’s no getting around it, EnGenius is a shaker and a mover! Their cutting edge technology is the best in cordless communications and telephones. No matter what your business or personal needs, EnGenius has just what you need to take care of it. Highly useable in any business setting is the EnGenius DuraFon 4x Cordless Expansion Handset. Whether your business is large or small this little item will be a benefit to your telecommunication needs. For a small business or for use in your home, there is the EnGenius Handset with Charging Base. It’s the best in telephone technology on a small scale. And the price is right! Whether you are outfitting a large company or a mid sized company or just your home or office, EnGenius is the best you can buy at a price that you can handle. This is the information age and we all need to be able to communicate, whether for business or pleasure. Why not have the best in telecommunication devices to ensure that your telephony is as good as it can get? Nobody likes to stop what they’re doing, especially if they’re attending to their business, and drive to town to search for a new telephone. It’s a waste of time, effort and money. 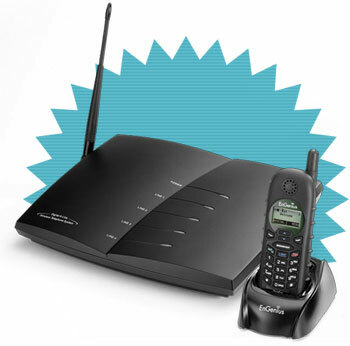 Now you can shop for your EnGenius telephone system by using your home or office computer and going to www.TWAcomm.com to look at their catalog of EnGenius products. It’s easy and far less expensive than driving all over the place. The telephone you want, with all the features that you need is as close as your computer. Ordering online is convenient, easy and less expensive than going to a traditional store. It’s a whole lot quicker, too! Are you tired of your old telephone? Is it sounding funny? Are some of your conversations garbled or interrupted by static? Have you recently moved or remodeled and just want a new look for your phone? Has your business grown and developed a need for more telephones to keep up with all your customers or clients? Do your employees need new phones? If the answer to any of those questions is “Yes,” then you should check out www.TWAcomm.com and look at their catalog for EnGenius products. Shopping for your new EnGenius phone couldn’t be easier! Do you have an outdoor business? Do you need to be in instant communication with your office or employees as you move around the job site? How about an EnGenius Durawalkie Long Range Cordless 2 Way System? It’s a cross between a telephone and a walkie-talkie that you can use for quick communication. No matter what your telephone needs might be, check out EnGenius first. They have plenty of products to fill your every need. Check the catalog at www.TWAcomm.com.